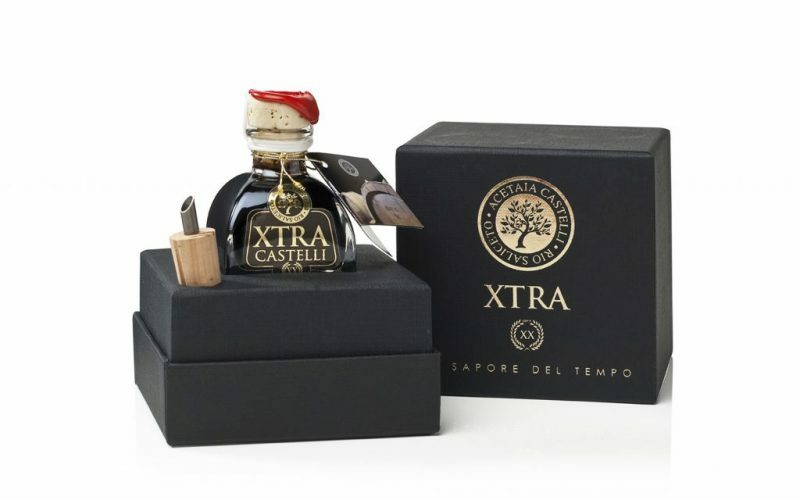 Family Castelli’s “XTRA” is aged about two decades. It is perfect for enhancing your dishes or could be a prestigious gift for special days. It tastes sweet, harmonious and balanced. How to taste it in our daily cooking: XTRA is certainly thick so it’s perfect with risotto, pumpkin tortelli, aged cheese and specially on Parmigiano Reggiano, it’s delicious even alone as digestive. Ingredients: Lambrusco grapes cooked must, and acidified. It is a 100% natural product. There is no addition of preservatives, colorants, thickeners.